For the past 6 years I have worked for BBK9 in assisting and delivering dog training classes. My involvement in dog training started with the need to access and receive 1:1 training and support for a rescued English Bull Mastiff called Tank. Despite his ability to live comfortably and calmly with our Labrador, the sight of any other dog was enough to send him into a state of excessive and disruptive behaviour. Following a journey of socialization, basic obedience and behaviour training with Tank I started to observe owners’ communication and interaction with their dogs and the impact this had on their dog’s behaviour. Having developed a keen interest in this I then became a mentor for owners with high drive, distracted dogs in group classes. 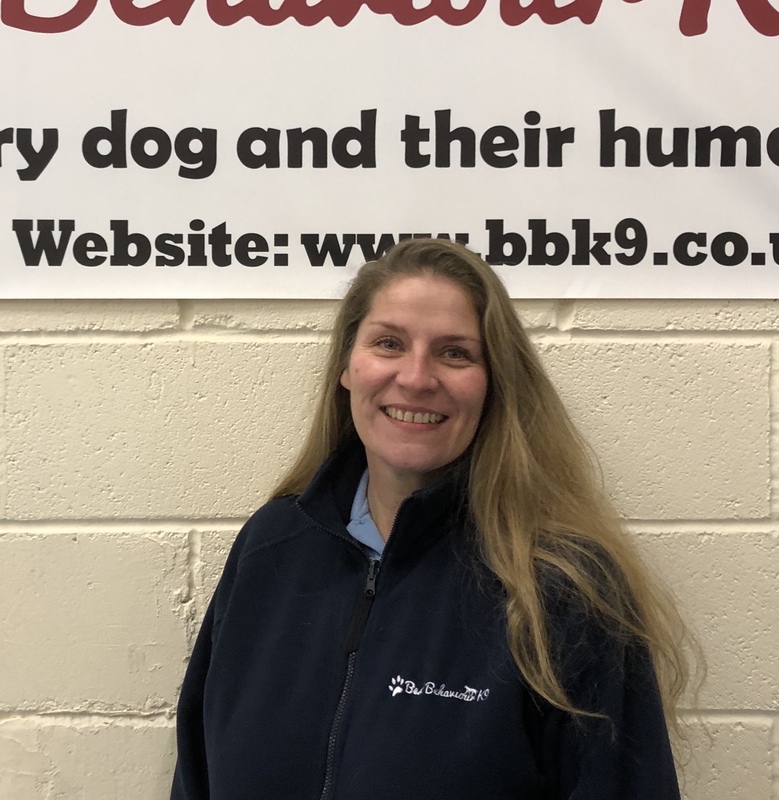 Since 2018 I have been employed by BBK9 as an obedience trainer, running my own classes on a Saturday at our Barnsley (Wombwell) training school. Currently I have 2 K9 companions, Zulu a German Shepherd who is trained in live and cadaver search and recovery and a Belgian Malinios, German Shepherd cross called Ozzie. I continue to be passionate about training and love to support humans in developing their own skills and understanding of training their dog, in particular the importance of clear and consistent communication to help their dog learn new and lifelong skills.